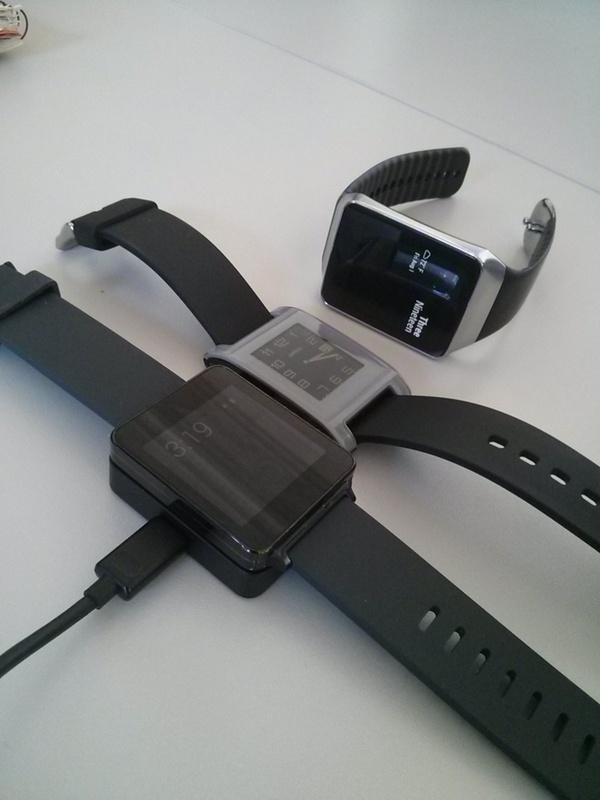 Thoughts on the Apple Watch from a Pebble and LG owner. Its been 24 hours since the Apple Watch debut. Now that we have seen more pictures of the watch and learned a bit more about it, I think I can finally give my impressions. This of course is tempered by the fact I have not seen it in person and there are still things we do not know, like battery life. However, its a safe guess it will be one day. First, the watch is beautiful. This was fully expected from Apple and they did not disappoint. But its not stunning. Its not gorgeous. The Moto360, although weak from almost all other measures, is stunning. The Samsung Gear S is beautiful and ground breaking with a curved screen, but held back by a horrible band. This is Apple’s first version, so I would not be surprised to see it get thinner and thinner as time goes on. I do not love this watch, but give Apple a few more versions and they will have something that matches the rhetoric I heard at the presentation. The UI is fantastic, again what we expect from Apple and they delivered. There is much the other watch makers can learn from Apple and I fully expect much of what we saw to show up in Samsung and Google’s efforts. Watch for a spin dial selector to show up on other watches in 9 to 12 months. Same with payment options. Of course the watch is locked to Apple just like Google’s is locked to Android and some of the Samsung devices are locked to Tizen, Samsung’s new OS. Almost all my iPhone friends who did not get Pebbles have been waiting for Apple, and I have yet to hear any one of my friends who are Android users say they are willing to leave Android for Apple for this watch. As a Pebble user and Android user, I paid great attention to the Apple announcement and as a past iOS user, I have no problem switching back if I thought the watch was going to give me something that I cannot get from Google or Android. However after doing more reading on it and carefully considering where Apple is and how long would it take for Google or Samsung to catch up, it is just not there yet. Its close, VERY close, but not quite there yet. It needs to be thinner. I need to know I can go 2+ days on a charge. 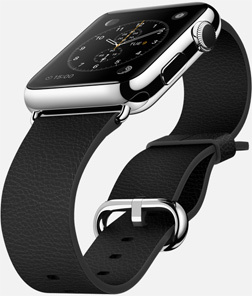 I need to know the watch SDK will allow innovative apps to be developed for the Apple watch. One of the most important things for me is battery life and appearance. Despite being the first watch on the scene, I still reach for my Pebble before I reach for my LG. I do this because the watch is small and looks good. No its not stunning in ANY respect, but it looks like it fits on my wrist, not bulky. I like that I can go almost a week on 1 charge. I like that does exactly what I want my watch to do. Let me know when I need to get my phone out of my pocket or ignore it. The Pebble does this. I do like the voice support on the LG, the one thing on the Pebble I miss. I also like the Google cards, but I can get this on the Pebble as well in a limited manner. I know Apple copied that with Apple glance, but this is new for Apple where Google has been refining cards for a number of years. So what is my conclusion? I’m not ready to pay the money it will take to move back to Apple and the cost of the watch. However, the Apple watch is clearly the current measure of what a smart watch can be. But just like all the others… its not quite there yet. No one is quite there yet. So I continue to wait and watch. Whomever can create a watch that is beautiful, well designed UI and a 3 day battery like, will win me over. Google, Apple, Samsung, it does not matter to me. Basically all the phones are so similar enough that I am more the willing to switch. However, for now, I’m staying with Android. Apple Watch sells out in the first day. Does that close the Apple Watch market from other watch makers? Recent update greatly extends Moto360 battery life. Update now! Why my Tesla M3 feels like my first iPhone and my M3day plus 30. © 2019 As Seen Through PeriVisioN. Theme by XtremelySocial.